Everyone loves Mason jars. The sturdy glass jars with their airtight seals have been a favorite for making preserves, pickles, and more and lately, they’ve enjoyed a resurgence among the younger DIY crowd who love their diversity as well as their look. Whether you’re making a fancy craft, simply storing some flour, or using one as a drinking glass, Mason jars are a perfect kitchen accessory. And while they’re endlessly useful, did you know they can also be worth a surprising amount of money, especially rare varieties. Sure, you can pick them up in bulk for less than $10, but if you happen to have a rare antique, your jar could be worth a lot more. But how do you know? Luckily, there are experts out there who can tell you all about the different types of Mason jars that have appeared and disappeared through the ages. And what are Mason jars, anyway? They’re not named after secretive organizations that are rumored to rule the world from the shadows, if you were wondering. They’re named afterJohn Landis Mason, who invented them in 1858. 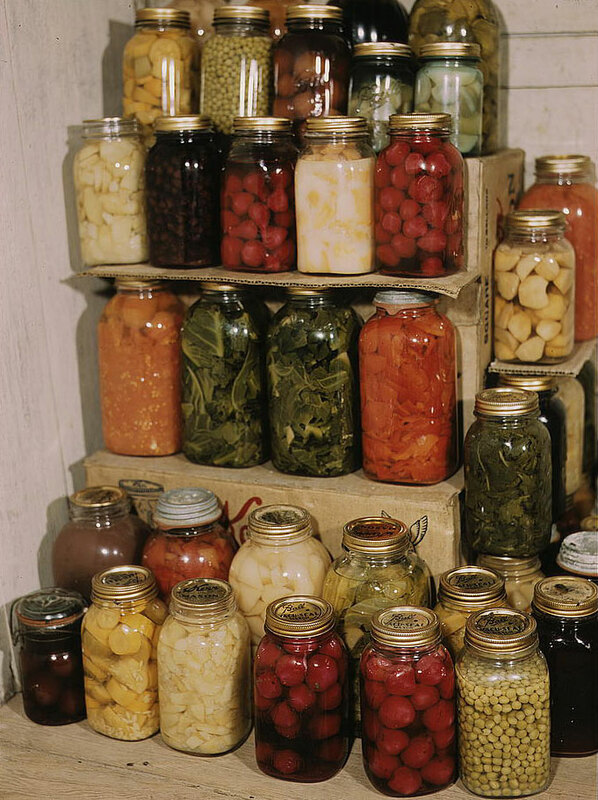 The glass jars were created to form a hermetic seal, and were used for canning and jarring. The jars are also known as Ball jars, thanks to the Ball corporation that still manufactures the jars today, as well as fruit jars, or simply canning jars. Check out what you need to know about your jars below, and then start rummaging through your cabinets. You just might have a treasure hidden away! Mason jars are a favorite of cooks, crafters, and anyone who loves to organize. Invented in 1858, they’re designed to make an airtight seal when heated, making them ideal for preserving food. Today, people also use them for crafts, glassware, storage and they’ve even taken off with the younger generation as hip, rustic decor. Nowadays, you can even buya big flat of Mason jars for pretty cheap at your local craft or household goodsstore but the older ones can fetch much higher prices. Typically, the smaller or more common antique jars can go for about $20 apiece, but the more rare versions can sell for as much as $300. But how do you know which ones are special? Well, first you have to tell how old the jar is, and you can tell its approximate age by the design of the logo. This chart shows how the label for the Ball jar company, which started producing mason jars in 1885, has changed over time. If you have a jar with one of the older logos, it will likely be worth more than one with a newer logo. Next is the color. Clear and pale blue are the most common colors, but jars of all colors were produced. Amber glass became popular in the 1910s, when there was a misconception that dark glass prevented spoiling. Green glass was also used, and is still used today. However, antique green glass and modern green glass are very different, as far as collectors are concerned. Some of the rarest jars are antique green glass jars of certain shades, which can fetch up to $300. Green glass jars rage from pale, apple greens to darkolive greens and beautiful blue-greens. While a pale aqua color known as Ball blue is pretty common in Ball jars (it had to do with the minerals in the sand they used to make the glass), deeper, richer blue glass is also a favorite. The blues can range from very delicate and pale to super-dark cobalt colors. You’ll also notice that the toppers vary quite a bit, and this is also something collectors look at to determine age and value. The jar in this photo, second from the right, is one of only four known to exist with blue glass and a thumbscrew top. Even more rare and valuable than uncommon colors are jars with quirks. This Ball Mason jar is the result of a molding error, where the logo and name were stamped on upside-down. According to one expert, only about a dozen jars like this exist in the world, making them collectors’ items. Other Mason jars were deliberately stamped with the logos upside down so the jar could double as a dispenser. These can fetch up to $1,000. Today, thanks to modern technology, we can make the jars pretty much any color. These modern jars might not be as valuable, but they’re still beloved by anyone who loves cooking, crafting, or just having some pretty jars sparkling on the windowsill. If you love Mason jars, keep an eye out the next time you’re at your local thrift or antique store. You might just stumble upon a real treasure. Of course, Mason jars are so cute that it might be hard to sell yours! SHARE this with anyone who loves Mason jars, whether it’s a love from back in the day or a newfound appreciation!